In Belgium, it’s typical for both parents to work full-time, or almost full-time. While children living in Belgium begin school early, at only two and half years old, until they reach this age, working parents need to find childcare for their little ones. Most parents send their children to one of the communal crèches for children from zero to three years of age. These communal crèches in Belgium are subsidised by the governments of the different language communities, so who you turn to find daily childcare depends on what language you and your child speak. These crèches are run by the Office de la Naissance et de L’Enfance (ONE) for French speakers or Kind & Gezin for Dutch speakers. Through their websites, you can search for childcare facilities near your home or place of work. On the sites, you’ll find both government-subsidised crèches, as well as privately funded crèches and individual childminders who run nursies out of their homes, all of which are supervised by ONE and Kind & Gezin. Private crèches and child-minders usually may cost more, but can have shorter waiting lists, as well as greater flexibility in opening hours. Paying for childcare in a crèche is tax deductible. How to sign up and how much will it cost? Costs for the communal crèche rely on a sliding scale based on joint net income of the parents. For 2015, in Flanders parents will pay between €1.56 en €27.72 euro per day, while in Wallonia and Brussels, costs well range from €2.34 to €33.04 per day. What you will pay is determined by your income as well as other conditions (e.g. whether you’re a single parent; how many hours a day or a week you will use the crèche; whether you have more than one child in the same creche). 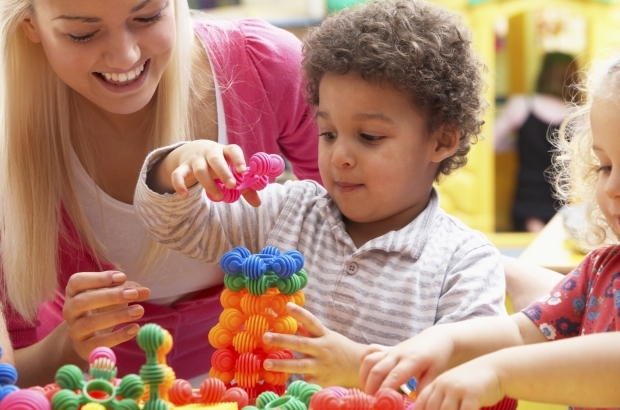 If you plan on using government-subsidised childcare, it’s important you start early. Both ONE and Kind en Gezin recommend registering your child when you are four months pregnant to secure a spot for your child. This involves contacting the crèche you’re interested in using and arranging a meeting to discuss your childcare needs. The crèche will be able to tell you if they’ll have room for you when your child arrives, how much it will cost and any other information you might need to know. The most important part of choosing a caregiver is that you feel good about leaving your child with them. This means that the comes from the crèche or childminder both meets your practical requirements – they’re open during the hours you need them, they’re conveniently located, and they they speak a language in which you can communicate and to which you want your child exposed – and provide an environment that feels happy and safe to you and suits your child’s needs. Things to look for include: what is the teacher-to-student ratio in the classroom? How engaged do the staff seem with the children? Does the environment look clean and have toys and tools that will stimulate your child, let her explore and teach her new skills? Can they accommodate to any special needs your child has (e.g. dietary restrictions)? The crèche will provide your child with a safe and educational environment during the day, but what about when you want to have a night off? Both ONE and Kind & Gezin publish lists of certified nannies, some of whom will also do one-off babysitting. La Ligue and Yoopies are both websites that allow you to search for babysitters by availability, as well as by specific skills, such as language.